Hey everybody! Stacie here from Pitch Deck Fire and I’m so glad you guys have joined us this week for our pitch hack of the week. For those of you who are new we cover tips and tricks on pitching, pitch decks, sales decks, live presentations, and investor presentations.  If you’re a start up looking for funding, a company looking for new customers, or you’re in an accelerator or an incubator program – you can find value in our Pitch Hacks. This week’s Pitch Hack of the week is –How do I customize a sales deck per client? If you’ve been putting a pitch deck for sales – meaning you’re selling to an enterprise company or a corporate or larger company where you’re taking a longer time to court that company, communicate with that company to get to the right decision maker or stakeholder, and then have a conversation with that person, you’re very likely to going to be putting together a presentation you’ll go through during that meeting. When you’re putting together a presentation for sales you want to make sure you’re focusing on your customer – you don’t want to spend all your time talking about your company. You don’t want to talk about the 20,000 years of experience you have, or all the successful projects you’ve done or all the features your product has or how your product works. Those are all valuable pieces of information…but when you’re putting together a presentation for a potential client, they want to know that you know their pain and that you have a solution for that pain and you’re talking their language. So you don’t want to spend a lot of time talking about yourself. Instead, you want to make sure it’s very tailored and focused on that client. When you’re putting together a sales deck for that kind of meeting you want to make it very easy for you to customize that deck for your client. There’s a couple ways to do that. Imagine I’m the head of the sales organization and I’m putting together a deck that I’m going to let my team use. My team will be using that deck to put together customized decks for each of their potential clients. This can work even if it’s just you and you’re the entire sales team or if you have a large team of people You want to make your pitch deck very modular so you can “lift and shift” things. There’s a couple ways you can customize it using this approach. First, make it very easy to insert a logo for that client. The title slide should have their logo right there. Maybe it’s our logo plus client logo. We want to make it very easy to input that information so we have a spot ready right there on the title slide for our team to drop in a logo. We teach them how to do it, we give them access to find logos for our customers. That way on our very first slide we’re saying to the potential customer – “I know you, I made this deck for you”. They don’t need to know that this deck is very similar to all your other decks with a few tweaks or minor changes. It can still be very nice for the client to see their front and center. Another way to think about customizing your deck for each of your clients is to consider that you have different customer segments. These are groups of customers that are similar to each other but different from each of the groups. For example, maybe you have types of customers that are selling to a particular audience, or they’re using a different business model, or they have a different size client. Maybe it matters if they are a big company you’re talking to vs. a small one. Maybe some clients will use your product in a certain way or use a certain product line, whereas some clients will gravitate towards another product line. You can understand who those customer groups are and you can build sets of slides that talk to those customer groups, and then you can again, “lift and shift” those slides. Just use slides that pertain to that customer group. Once you customize the title slide and customer group you have a deck that’s well on its way to begin customized for that particular client. That way you have certain conversations with certain clients, and other conversations with other groups of clients. The conversations pertain only to what they care about and the product lines or value propositions that you’re providing that matter to them. So, make it really easy on your team to “lift and shift” those slides in. Another way to customize your deck is to think about what kind of case studies you can provide. Very commonly in sales presentations we want to offer some sort of idea of the success other clients of ours have seen. Those other clients have seen success with our products. Maybe they’ve saved money, maybe they’ve increased their effectiveness, maybe they’ve reduced their payroll…whatever the benefit is to the customer is, we want to show what that benefit is when they used our tool. It can be very good to provide a tangible example, so our potential customers can look at those and say “ah, that’s very similar to my company, I can benefit in that way”. It’s very easy to see value for myself when I see an example of a customer that’s seen that value. Think about using a testimonial from that client. It can be super valuable when you’re presenting to a potential sales target. So, when you’re trying to customize for a potential sales target, we’ll look at all of our options and create a case study slide for every type of customer that we possibly can. Then we give our sales team these case studies as options to “lift and shift” and place in the deck. Now, we have the beginning of the deck that says “I know you… you’re my customer, and I understand what you’re going through”. We have slides that pertain directly to that customer group, and are talking about what they care about. Then we talk about the products, how they work, and what we think or recommend for them given what we know about their company. We have some case studies that are very similar companies to this company we’re pitching to. This kind of customization makes your deck fantastic! Customers will think we’ve spent hours working on that deck making sure we win this sale. Instead, what we’ve created a very modular, editable deck that can be used no matter what client or client group we’re speaking to. So that’s our pitch hack this week. I hope this answered your question about How to Customize Decks Per Each Client. If you have any thoughts on how you’ve customized your decks for your clients, I’d love to hear about them in the comments below. If you have any ideas for upcoming pitch hacks, submit them below and I’d love to answer them in an upcoming pitch hack. We put out new Pitch Hacks every week, so give us a thumbs up if you want to see us again. I hope to see you here again soon – happy pitching!